Udita Iyengar reports from 'Oxytocin: Birthing the World', at the Royal College of Art. This interdisciplinary event at the Royal College of Art brought together women in the community, artists, scientists, researchers, midwives, among others, to engage in conversation and increase awareness on women's mental, emotional and physical needs, and their rights, during pregnancy, labor and postnatal adaptation. The all-day symposium was the brainchild of the Procreate Project: an organisation that provides a space for mothers to produce art; and the event itself featured panels of speakers interwoven with artistic performances and live art installations. As a researcher with an interest in maternal health, reproductive psychiatry and oxytocin (a hormone and neuropeptide associated with birth and maternal caregiving), the title of the event itself piqued my interest. 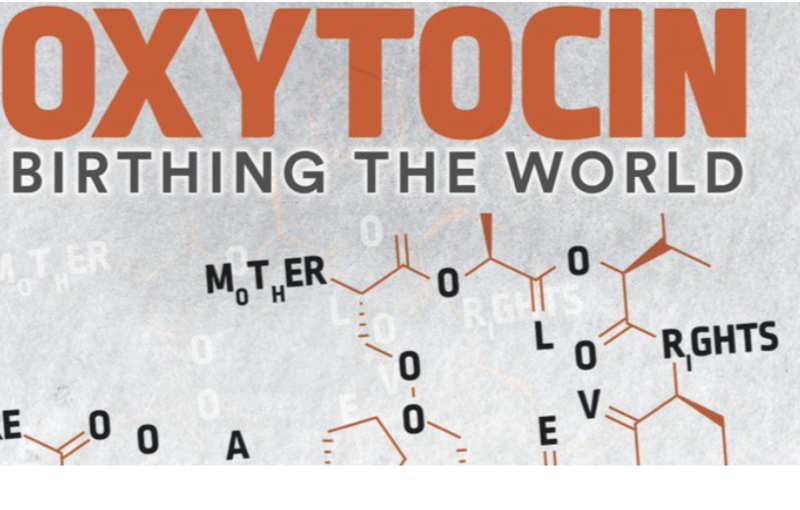 I came to find that the event, while featuring the word oxytocin, was less about the science of motherhood and more a metaphor of what it is to be female and a mother. I was particularly curious to see how the diverse program would shape my own understanding of mothers from the cultural and art sector. Artistic performances were staggered between more traditional keynote lectures and panel discussions. The programme opened with a dance performance depicting the relationship and bond to a mother’s body (represented by two dancers joined hand in hand throughout the entirety of the performance) with the artists bounding to an upbeat rhythm frantically at times, at other times molding together seamlessly – an innovative and expressive way to start the day’s events. Panels included feminists and activists that spearheaded the motherhood and mother-made arts movement, along with artists who used auto-ethnographic, photography and sculptures that revealed the sphere of motherhood, the experience of giving birth, and the family context. One performance included a male choir re-enacting the sounds of women in labour as remembered by the men who supported them – from the deep breaths to the expletives that came from childbirth. Memorable, to say the least! As a researcher who has worked closely with professionals in maternal care, I was very moved by the panel focused on midwifery, art and culture. This panel explored midwifery and its representation in the media, along with support techniques and art as expression for midwives themselves. At times the intensity of the images and words appeared overwhelming to me. The reality of motherhood, raw and unfiltered, was depicted through powerful images and text, from the blissful smile on a mother’s face as she delivers her child, to the shocking and numbing emotions felt after the loss of a child. One evocative performance was an original play titled 'Friction', which explored a young couple struggling with the birth of their first child, and a mother’s experience with postpartum depression. The script used dialogue taken from a real-life couple going through this experience, and included actual audio clips taken from their interviews. The performance was intense and visceral as the feelings of panic and fear of the couple were almost palpable. The author of the play was featured on the 'maternal mental health and dignity' panel, of which I was a part, and we discussed the implications of maternal mental health in a real-life context, from the science of motherhood to the systems in place to support mothers. The programme was a unique one where research and art entwined to explore what it is to be a mother. While at times I felt overwhelmed by the emotional overload of the aesthetic images and text, the event certainly opened my eyes, jolted my senses, and made me question many things – as good art often does.